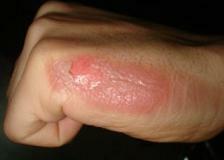 Burn and blister injuries are very common occurrence in our lives. There are a lot of sources for this incident to happen such as fire, electricity, hot objects, chemicals, and exposure to extreme heat like the sun. Generally, burns are classified into different categories – first degree, second degree, and third degree. In cases where one experiences severe burn, medical treatment should be sought immediately to prevent further complications and ensure that the patient will be safe. However, mild burn can be treated at home, but first aid care should be done correctly to alleviate pain and for it to heal at a fast pace. Wondering how to treat a mild burn? 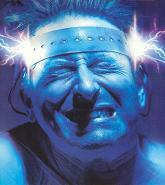 Learn by following our tips on how to cure and get rid of it. Run the affected area under a cool tap water for atleast 15 minutes. You can also fill a large bowl of cold water and soak the burn are like your hand or your foot on it. Moreover, when it is on the hands remove any rings immediately that can impede the blood flow. Pat dry the area. Do not rub. 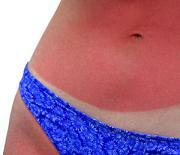 A home remedy you can use is by applying aloe vera gel or other burn creams that can soothe the area of affectation. But never apply butter or other thick ointment of the spot. Cover the affected skin with a loose dressing while it undergoes the healing process. Never wrap it tightly. To reduce pain and swelling of the skin, you can also take over-the-counter meds like ibuprofen and acetaminophen. If the blisters from your burn have been very painful and swollen or if it doesn’t seem to heal over time, it would be best if you seek the help of a physician to properly address the issue. This is how to treat a mild burn. Hope this has helped your quest!